THIS IS A GTHA MEMBER ONLY EVENT! 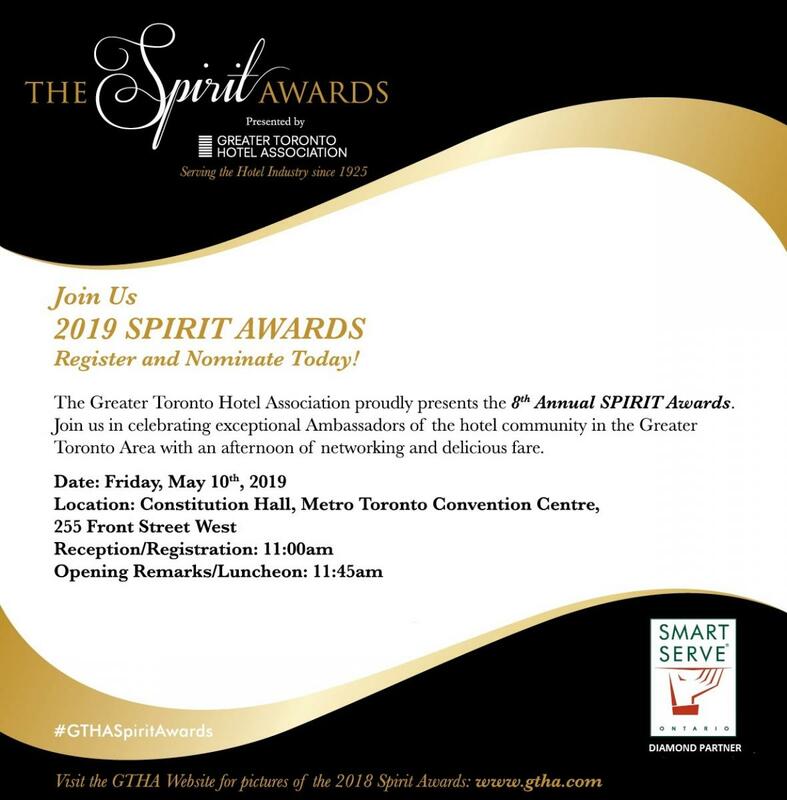 The Spirit Awards is an annual event honouring the service, professionalism and innovation of outstanding ambassadors in the hotel industry of the Greater Toronto Area. The event’s focus is to recognize and show appreciation to front-line and “heart of the house” staff for their “Spirit” and service to our guests. The 2018 event welcomed over 600 attendees and honoured over 240 exceptional nominated Ambassadors. This is the Greater Toronto Hotel Association’s largest event which provides a great opportunity for Supplier Partners to show their support of the hotel community of the Greater Toronto Area by supporting the event.